Crush tester- Jinan XingHua Instruments Co. Ltd.! The crush tester is applying to do the Ring Crush Test, the Adhesive Strength Test, the FlatCrush Test, the Edge Crush Test. 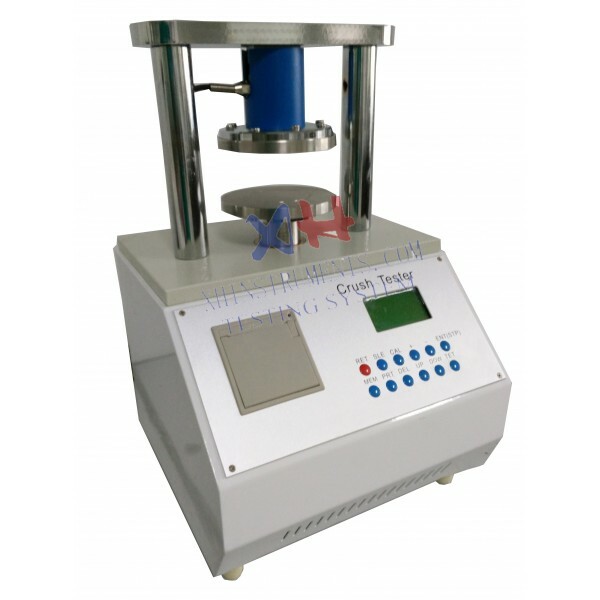 It is the ideal testing equipment for papermaking, packaging, quality inspection department and so on. Microprocessor control, automatically carry the test according to testing requests. Protect press sensor through the protection switch for over- loading. Analyzing the group of testing data and to show the maximum, average . The results can be printed out with micro-printer, kg, N, lb, kpa, N/m in option.